When you have those areas of your body that just won’t shrink in response to conventional weight-loss efforts, tolerating it is not your only option. 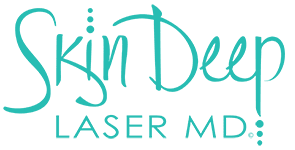 At Skin Deep Laser MD, Dr. Riehm and her team offer SculpSure® laser contouring to help reduce those problem areas. The state-of-the-art procedure destroys fat cells permanently, leaving you with a physique you want to flaunt. Men and women in Fort Worth, Texas, can call the practice or book an appointment online to learn more about how they can refine their physique with SculpSure. SculpSure is an FDA-approved laser technology that destroys fat in target areas. The heat energy penetrates your outer layer of skin to disrupt the fat cells that lie beneath. When brought up to temperature, these fat cells’ integrity is destroyed and they die. Your body then naturally disposes of the fat cells through your natural waste removal systems. SculpSure is not intended for comprehensive weight loss. It is best used to target resistant areas of fat once you have achieved a healthy body weight. The number of sessions you’ll need depends on your body contouring goals. You can treat multiple areas in one session. SculpSure effectively reduces up to 24% of fat cells in a treatment area in a given session. Most people get the best results from multiple sessions. Dr. Riehm customizes a treatment plan for you to achieve the look you’re after. SculpSure treatments require no anesthesia or topical numbing agents. No incisions, blood loss, or needles are involved. Most people describe the treatment as feeling warm and tingly and tolerate it quite well. What is the downtime following SculpSure treatments? Unlike invasive body-contouring treatments, such as liposuction, SculpSure requires absolutely no downtime. You can go right back to your daily activities following a session. Many people even schedule SculpSure sessions during their lunch break and return to work afterward. How long do the results of SculpSure last? The fat cells destroyed with SculpSure are gone for good. Unlike the results from diet and exercise, which only leads to the shrinkage of fat cells, SculpSure eliminates fat cells so they can’t plump back up. You do benefit from continued healthy habits, including a portion-controlled diet and regular physical activity, to avoid plumping up fat cells not targeted by the laser energy. For more information about the remarkable body contouring technology of SculpSure, call Skin Deep Laser MD or book an appointment online.